A classic one of a kind tie by the one and only Michael O'Connor. Michael hand ties all of his classic salmon flies right here in his home town of Pepperell, Massachusetts. 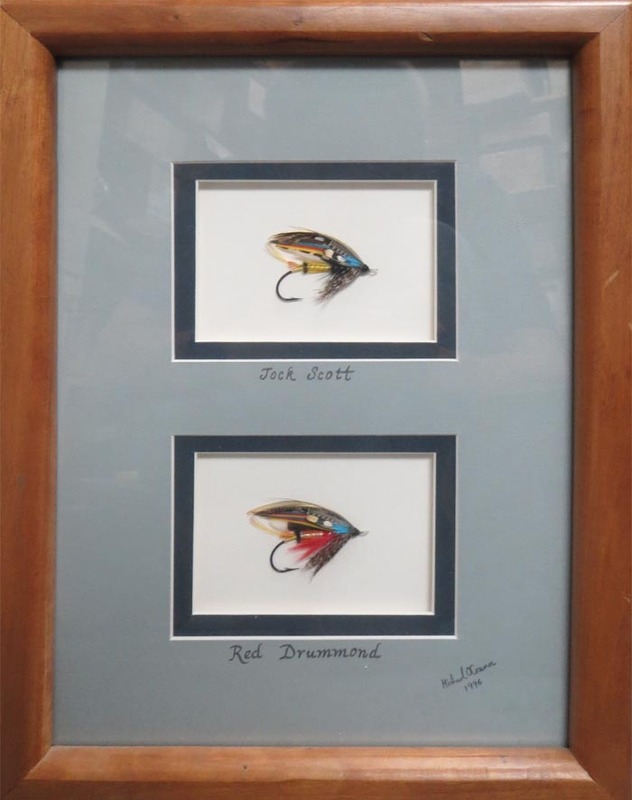 These incredible flies are mounted and matted inside of a wooden decorative frame. This piece measures 14 3/4" x 10 3/4". A definite piece to add to your collection, no matter how big!